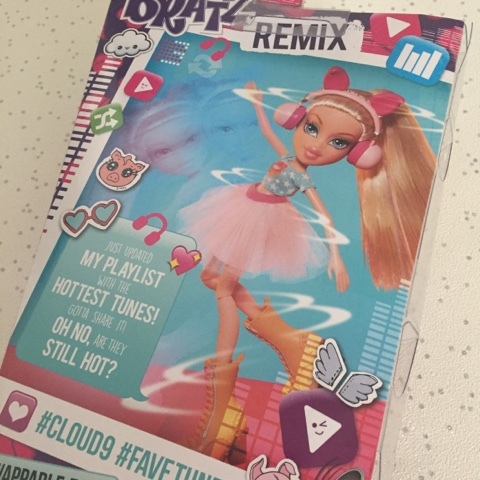 My girls are definitely big fans of Bratz dolls, they were lucky enough to get the chance to review the range last year when they made their superb comeback and now they are back again with a brand new style and accessories to match, introducing the Remix range. These dolls are definitely ready to party. They each come rocking their very own spirit animals courtesy of their stylish headphones and thanks to their mp3 players they can all dance to their own playlists too and of course that all important hair brush to keep them looking fabulous. 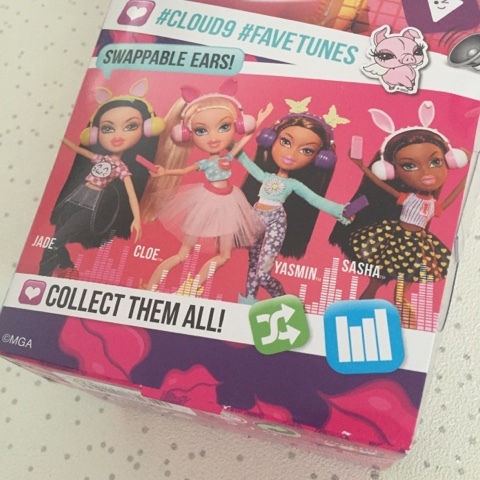 We were sent the sensational Cloe which happens to be my girls favourite character out of all of them. Still with that signature look, big eyes and lips and removable shoes/feet, this doll definitely appeals to the fashion conscious girl. One thing that does continually bug me about the clothing though, does it always have to be so short and revealing? 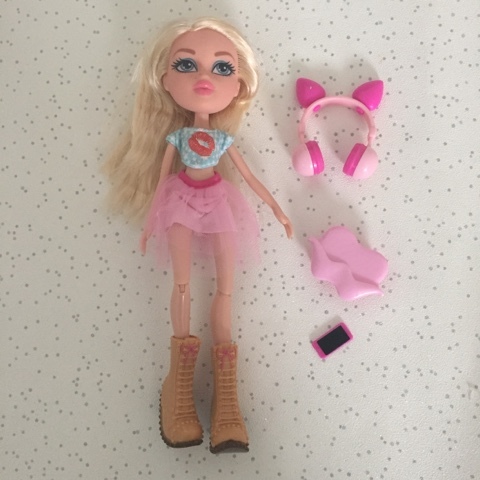 I think we need to remember that there is a wide age range of girls who play with Bratz dolls and of course kids like to copy/have the same as what they see. 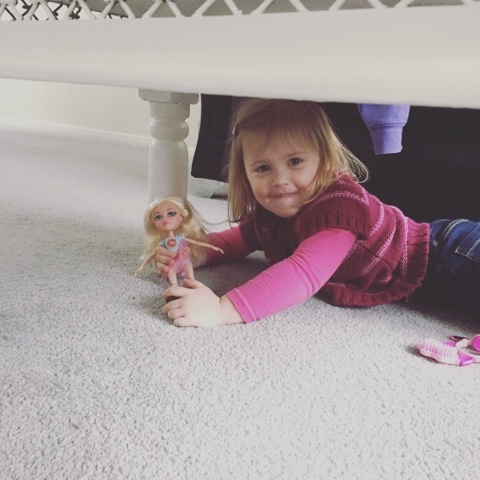 My three year old was the first to get her hands on Cloe and she was quite content making up games with her, infact I found them under my coffee table having a little chat together. The arms although not posable do have a give to them so not easily broken like other dolls and because the feet/shoes can come off, you can swap them with other Bratz dolls if you have any. Overall another great addition to an already growing range of dolls. 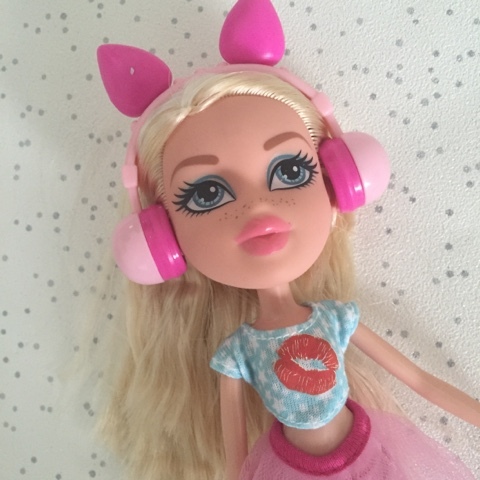 The headphones that come with them are super cute and also removable so if you happen to collect all of the dolls you can swap and change them around. You can also download the Bratz app to extend gameplay further which can find on the Bratz website. 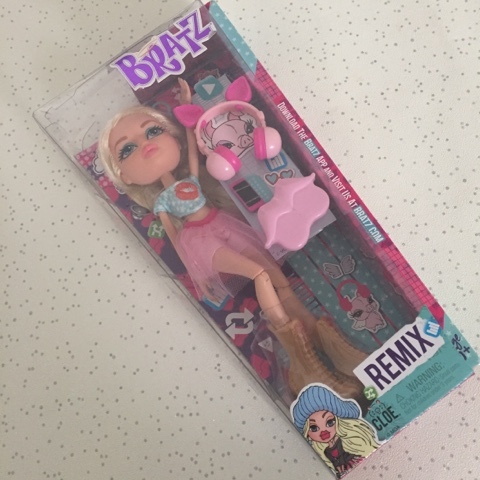 If you like the look of the Bratz Remix range, you can enter my giveaway below to win one for yourself. 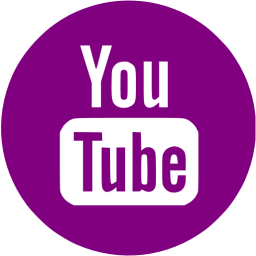 You will be sent a random one from the range either Cloe, Yasmin, Sasha or Jade. The giveaway is open to UK residents only and will close at 11.59pm on the 13th March 2016. Make sure to enter correctly as all entries will be checked and verified. I had an Action Man! But when I was with my cousins we always got them together with the Barbies and had BBQs and parties! I had a Tiny Tears doll which I used to love. I had a Barbie & my Grandad made me a bed for her and my Nan knitted clothes! Happy days. 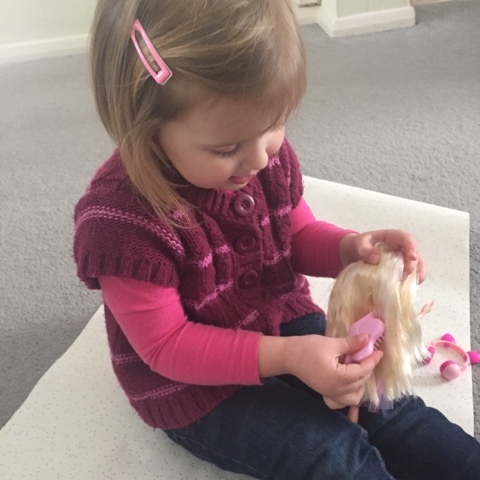 I had a Sindy doll and was so pleased my parents hadn't followed the Barbie trend! I had an action man that I adored! A doll which spoke when the string on her back was pulled. 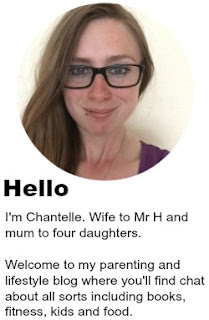 I think she was called Chatty Katie. I had a Barbie doll that I played with all the time! 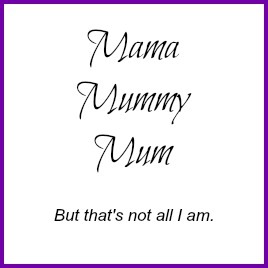 I had a doll called mumma. She was a soft body doll with plastic head and arms. I loved her - Even after the dog chewed off a few of her fingers! I was a Bratz/MyScene girl myself! I loved my Sindy doll in a sailor dress,even after my brothers gave her a make over with chopped up punk hair! I didn't have a Barbie or Sindy but I did have a doll with long blonde hair which I named Sheila. Barbie I had quite a few. It was my Tiny Tears. My favourite doll when growing up was deffo Barbie!! definitely barbies! i had hundreds of them and all the different playsets too! Little Tuppence was my favourite doll. I loved Barbie or Sindy dolls when I was little. I had a Rosebud doll. Tiny Tears was my favourite! Mine was my Tiny Tears :) I still have her! My Barbie dolls but my brother always ruined them when he used them to be the opposition for his GI Joes. Before all the 'trendy' dolls, mine was my Gollywog which I took everywhere. 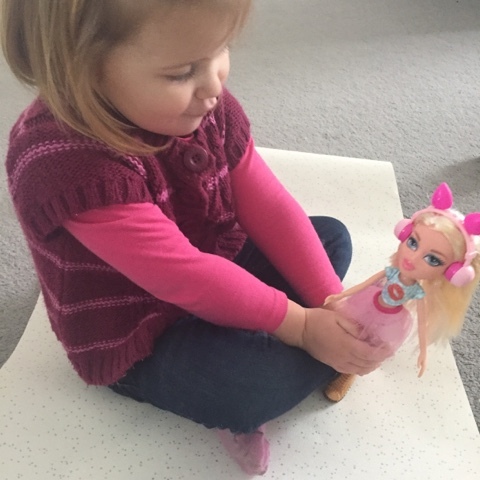 tiny tears was my favourite ,played for hours with my dolls. I had Jem, Sindy and Barbie dolls. 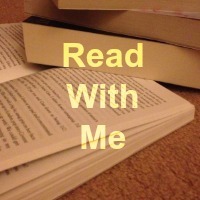 But my favourite was Jem. she had flashing earrings. I had ( and still have - in the attic ) , a baby doll I called Tony , he's been loved to death , his cloth body is filthy , he's got one eye and knotty hair !